"Our prayer should be like this, unceasing, escaping the eccentricities of time and space. Our soul should be in constant prayer, if we lack for words of the mouth, then we should pray in our mind, our heart is the altar of our temple, leading to the prayer and illumination of our soul. The whole of our life should be a constant consummation of prayer, always in Glory to Christ! 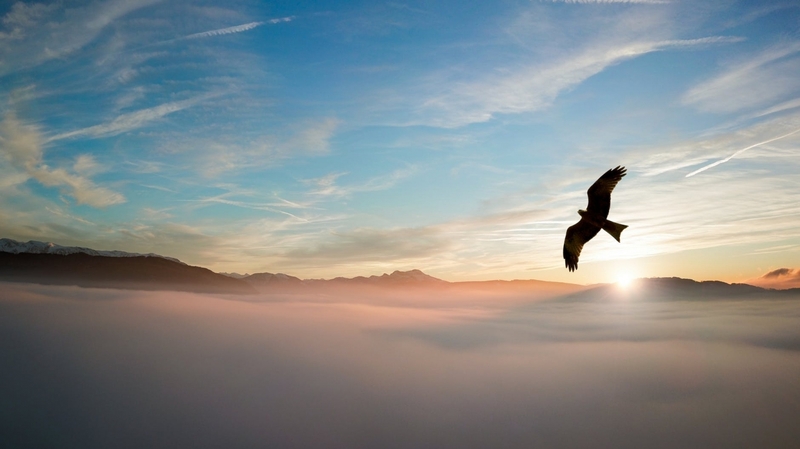 Our prayer should be like this, as the eagle flies, it is by the grace of God that he does soar to new heights, effortlessly does he go, so too shall our life of prayer be, it should consume us, it should be forever unceasing, our soul should always be in prayer even if our weak bodies of flesh are not. With such little effort does the eagle fly, and he does not soar to the ground, but higher and higher does he go into the heavens--it is by the Grace of God by which he can perform such a feat. powerful, effortless and ever upward."